There is nothing like harnessing the power of the wind as you hoist the sails and grind the winches in this sailing based event on Sydney Harbour. 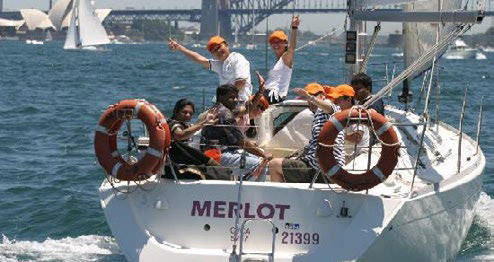 Based from the exclusive Cruising Yacht Club Australia (CYC), home to the world famous Sydney to Hobart Yacht Race, eventpod has created the ultimate client entertainment and staff team building event. Using state of the art racing yachts, crewed by our professional skippers, we will re-create the drama of an America’s Cup style race. This afternoon based event is suitable for novice or experienced sailors alike. 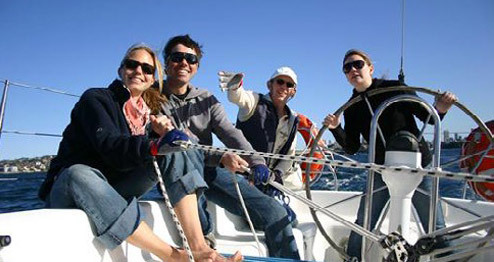 For our syndicated event, your team of 10 guests will board your exclusive yacht and will spend the first session learning to sail. How to helm, tack, gybe, hoist the sails and grind the winches. You then battle it out against other teams in a series of adrenalin pumping races. Or if you prefer, you can simply take it easy whilst sipping chilled champagne or cold beers from the luxury of these fabulous yachts. 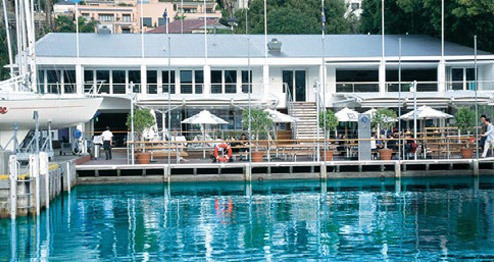 Guests will return to celebrate their achievement with a drinks reception and canapés served at Cruising Yacht Club.